Becco is not affiliated with a specific parking garage; however, there are 2 lots East of the restuarant on 46th street. Upper East Side: Take the to Lexington Avenue/59th Street & transfer to the downtown to Times Square 42nd Street. Lidia Bastianich & her son Joe's Theater District mainstay. 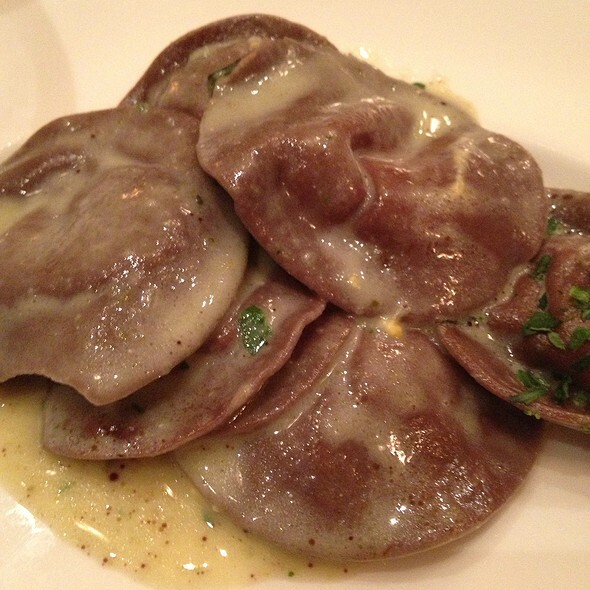 Best known for the $24.95 pasta tasting menu & the great selections on the $33 Italian wine list. 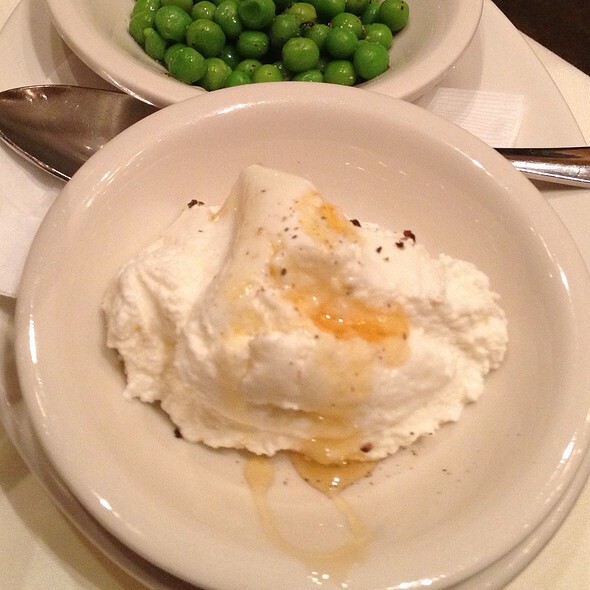 Loved by locals & out of towners alike, Becco has been serving consistently delicious regional Italian cuisine since 1993. 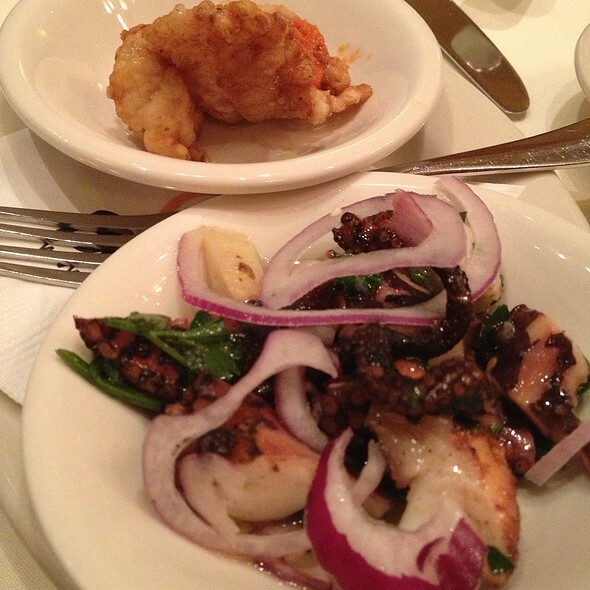 Located on the famed Restaurant Row in NYC's Theatre District, Becco is open for lunch & dinner seven days a week. Enjoy signature dishes, like the Osso Bucco, as well as the bounty of fresh seasonal preparations. The Reserve Wine list has many of Italy's best known producers, as well as some more eclectic wine makers. A knowledgeable staffer will be on hand to help you make a great choice. With 18 years on restaurant row, great food & great service help make Becco the right choice time & time again. Shaved asparagus salad with toasted pine nuts & shaved Parmigiana-Reggiano dressed lightly with lemon & E.V.O. House made mozzarella with roasted red peppers, pine nuts & E.V.O. Pan seared calf's liver with caramelized onions, bacon & crispy polenta drizzled with aceto balsamico & E.V.O. Beef tenderloin grilled rare & sliced over arugula with freshly shaved Grana Padano & E.V.O. 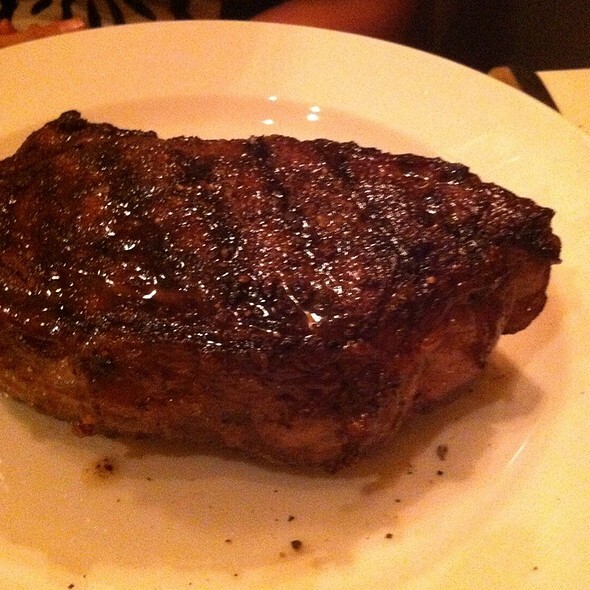 The food was excellent for a great value and I would definitely go again. I would've given 5 stars but this restaurant is cramped and noisy. That may be the compromise for the value. I have been to Becco MANY times and I am NEVER disappointed! Wonderful food at very affordable prices! Absolutely would recommend! It's our go to when in NYC. Thank you to Luigi for making feel us at home! Awesome menu and interesting wine list. We have visited becco many times and usually receive excellent service. Waiter was not up to what we expect from becco. Becco is one of my favorite restaurants in NYC unfortunately my latest visit was not enjoyable. 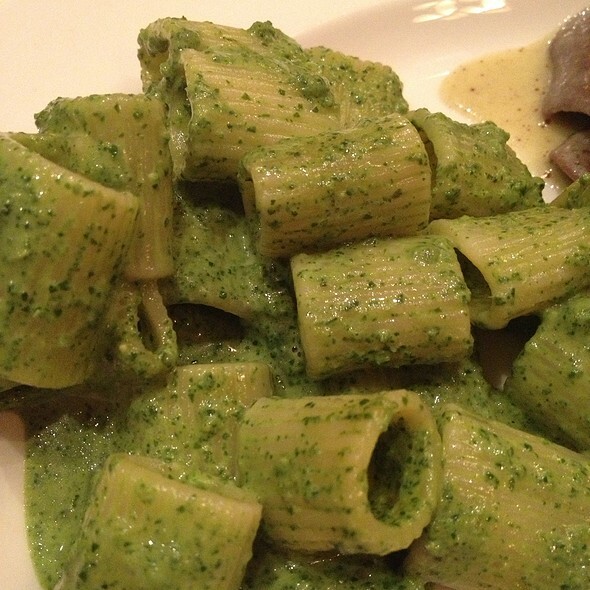 I have never ordered the daily pasta ..and probably will not again..the servers failed to return ..another request .. The Caesar salad & ricotta cheese cake ..delicious. I truly hope this was just an isolated incident ....I’m hopeful! We celebrated our daughter’s 14th birthday and everything from the staff to the food was amazing. She loved it. I was looking forward to finally trying one of Lydia Bastianich's restaurants and am sorry to say that I was disappointed. I had high hopes when I sampled the bread, it was delicious and the calamari fritto did not disappoint. The 3 pasta special was a mistake. I was expecting homemade pasta with delicious sauces. 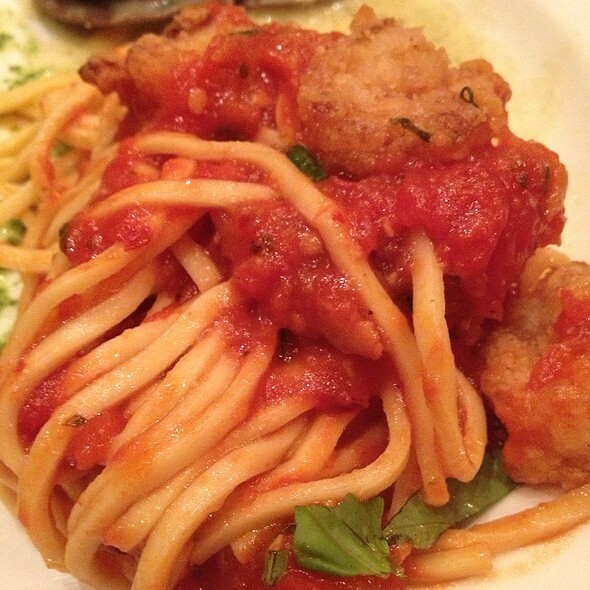 The pasta did not have the texture of homemade pasta and the sauces were watery and bland. Great food! Nice people! Highly recommend. Food fantastic. Had same server as before which was treat. It was our first time there, but hopefully not our last! My cousin is a New Yorker, and I asked him to pick his favorite place. It did not disappoint! The pasta choices were fabulous, and the host was beyond gracious. Thanks for a great experience. Always a good experience at Becco. Good food, good service. The food was great, we loved the 33$ wines (especially in NYC, where all the wines are min 10$ per glass). We had the pasta tasting meal, it was soooo good and the people are were so kind. 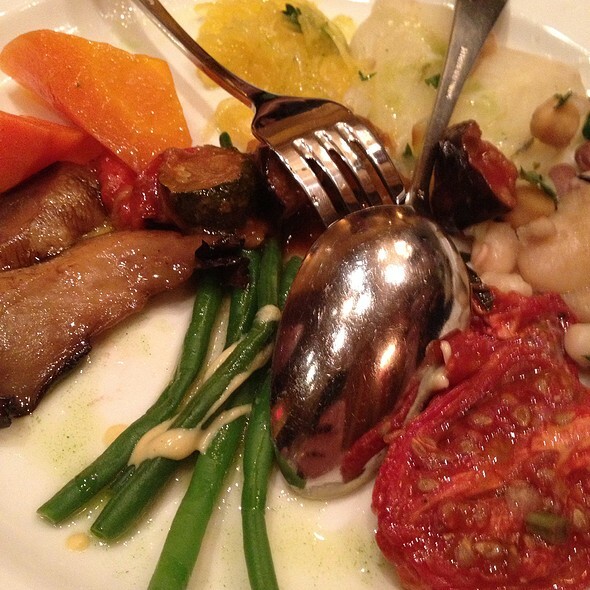 I’ve dined at Becco many times and usually have a pleasant experience. Most of the time I sit up front. This time, I was seated in the back. It was very hot. I made reservations well in advance but we were seated next to the kitchen. We were a party of three and shoved onto a two top. The table was too small for three dinners which created uncomfortable seating enjoyment for a party. This is a place for GOOD FOOD. It's a little noisy, and a bit crowded (tables are very close together) but we never felt that our neighbors could hear our conversation. I had the lamb chops which were perfectly cooked with enough fattiness to give an amazing flavor. My group had the stuffed peppers, pork chops and salmon, and all were delighted. My second time there, and I will go back again and again! This is NOT a veal- parmigian -and- a- side- of- ziti Italian restaurant. Generous portions of delicious food! My husband, son, and I had reservations on our theater night during our trip to NYC. I was unable to get a reservation earlier than 6p, which was a little tight for our 7:30p show. We arrived early in hopes of being seated early and were seated immediately in the lovely upstairs dining room!The service was attentive and personable, the food was excellent. My son and I had the pasta service with Caesar salad— spaghetti with tomato/basil sauce, gnocchi in a Parmesan sauce, and orecchiette with pancetta. All were delicious. My husband had a pasta trio dish from the menu with salmon, shrimp, and scallops over polenta—also delicious. We had the meatballs appetizer, as well, because my son loves them, and cannoli for a small dessert. Fantastic evening and made it to our show with time to spare! Highly recommend Becco for a theater dining experience! Great food at a reasonable price. Anything we have had here was delicious. Great location for theatre shows. Amazing food!! Pasta lunch special is a great value in NYC. I took a friend out for her birthday . Becco never disappoints food alway great. We had the pasta special great food & great price. Becco is always my go to Resturant when I go see a show. We were party of three. A couple and myself. I ask for a separate check for myself and was told they could not do it because of an issue the kitchen had in stewarding revenue. It is unimaginable and inexcusable for a restaurant in Manhattan to be unable to issue separate checks. A small restaurant on Utopia Parkway in Queens can do it. A restaurant in Capetown was able to do it. Apparently at Becco the convenience of the kitchen is more important than that of the customer. Great food with good service. Nice lunch before a show. I ate at the bar. Tim, the bar tender, was friendly, helpful and made dining alone seem much less awkward than it sometimes can feel. When I was between two items, he recommended one over the other and his recommendation was superb. My fogato was delicious. Where else do you see calves liver, bacon and onions on a menu-that made Becco special. And, it just so happened to be DELICIOUS. The Caesar salad that came first was also fresh, not too overly dressed and very good. Tim recommended a nice red wine to accompany my dinner. It was a wonderful pre-theater dinner. The service was terrible, would rarely come by, and charged for items I did not order. The food was ok, but disappointing based on the price. This area of NYC is full of other restaurants, so I’ll try another next time. Husband and I wanted to have some good Italian food on our last night in NYC. Googled “Good Bolognese in NYC” and Becco was in the search. Fun and busy when entering the downstairs door. Bar looked like a lot of fun but loud! Seated quickly with our reservation, showed up about 10 minutes early, we were ushered to the upstairs dining area. Quieter than the basement, but still had that “little Italian restaurant feel”. 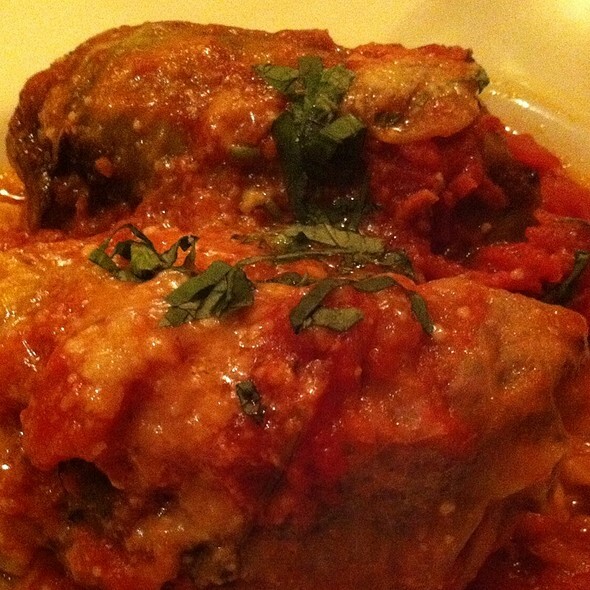 Food was good, but realized it was more of a bargain trattoria than an Italian ristorante. Large menu of 33$ wine by the bottle. Had the truffle with egg appetizer, burrata, Caesar salad, and the three pasta special. (Vegetable Cannelloni, spaghetti in a tomato/ basil sauce and rigatoni in bolognese). Here’s the deal, the appetizers and salad were ho-hum, but the pasta was really good. I was pretty happy with the taste and texture, but my only wish is that it would have been plated. I think the “all you can eat and be served” cheapened the overall product. Bread was stale, but that’s not what you are there for in the first place. CC machine wasn’t working so we had to fill out a paper with information to charge my card later. (Worries me a little), but didn’t have cash to pay bill, so it was my only choice. Not impacting the score, the restaurant was embarrassed- things happen. If you have a time crunch or a show, this is a good stop. But if looking for a restaurant experience, keep going. However, I might return for that spaghetti and basil/tomato sauce. The service was awful. I had to ask for my meal more than once while my husband's food sat getting cold. After talking to the waiter he apologized then continue to take orders from other tables. Disappointing experience in all aspects. Extremely noisy place, the ribeye was 50% grease, all other dishes were not tasty at all, even the plain pasta was not meeting basic standards. We will not come back. Been going to Becco since 1995. Somewhere in the 2000's the place became hit or miss. This particular reservation was a miss. Seemed like Monday was training day so there were lots of issues. But more alarmig, the food really wasnt up to par. Salad had no dressing! My kids's pasta was swimming in thing watery sauce. And the sinphonia was just OK.
Food was not worth it‘s value at all! This is not italian Food. 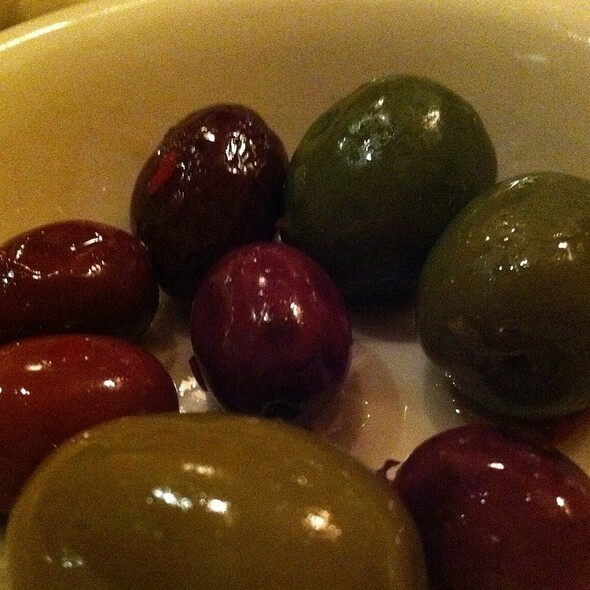 Antipasti was diasappointing. Service was poor as well. When the waiter asked us for dessert and we declined he had already the bill prepared in the hand, we felt like he wanted to geht rid of us. Excellent food, deliciously prepared! A great place to celebrate a special occasion! Our waiter was horrible—indifferent, detached, forgetful, disorganized, awkward—my husband and I assumed he was “high” from his presentation and demeanor. The guests at the next table had the same impression. Another great experience at Becco! Homemade pasta is always a great choice. Very busy so make your reservation a head of time. Highly recommended for any occasion.